Established names in Singapore’s food and beverage scene are presenting a more relaxed take on fine dining, along with seemingly simple dishes that bring the most out of the ingredients. What it is: Since Saint Pierre first opened its doors in Central Mall in 2000, its concept has evolved from molecular dabbling, to Japanese fusion, to a premium casual gourmet pilgrimage to Quayside Isle in Sentosa. Now, it has planted itself back in the heart of Singapore at One Fullerton as a fine dining restaurant with a beautiful view. These changes reflect celebrity chef Emmanuel Stroobant’s journey of self-discovery. A vegetarian and avid yogi, he has found fulfilment and purpose in leading a wholesome and healthy lifestyle, and now allows his diners to have a taste. 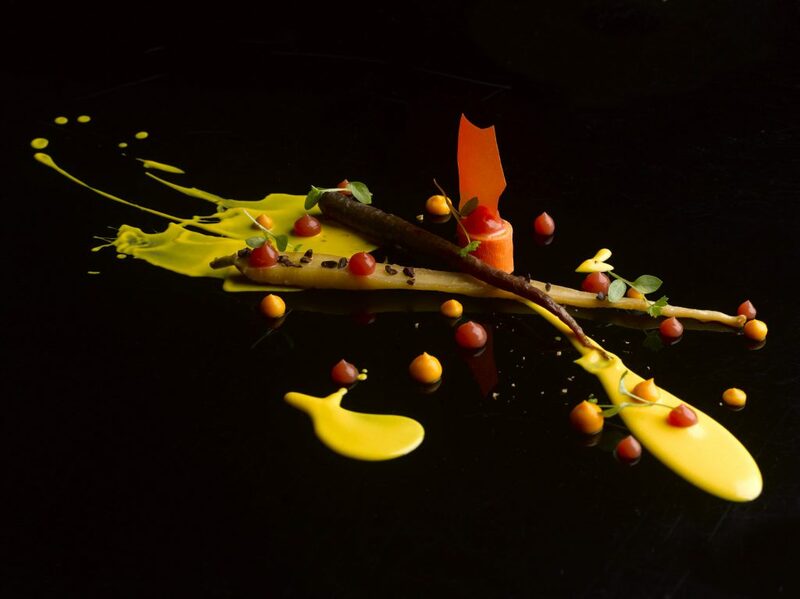 Stroobant’s focus on the quality and freshness of his ingredients, particularly vegetables, has led him to offer what he terms as “Essence-Centric” cuisine in Saint Pierre. 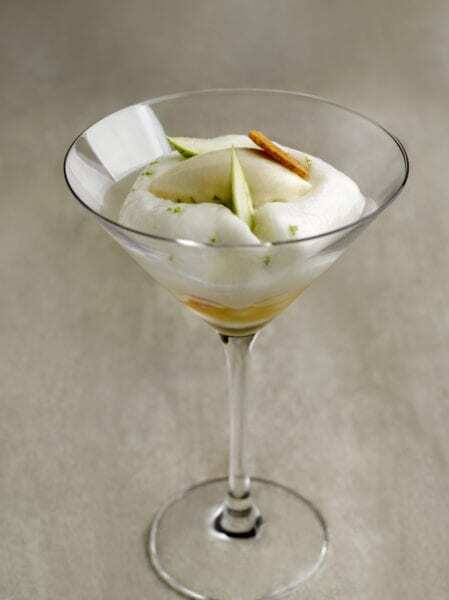 Using innovative methods of extraction and reduction in addition to his training in French classical techniques, he meticulously coaxes out the delicate essences from prime seasonal ingredients and proves that no additives are needed to achieve a full and uncompromised flavour. What to expect: While Saint Pierre adheres to the timeless “rituals of the table” that are typical to fine dining – amuse-bouche, wine pairing, petit fours, and trolleys for champagne, cheeses, and digestives – the atmosphere in the intimate restaurant is far from stiff or snobbish. While most fine dining restaurants might frown upon the presence of children, Saint Pierre diners are encouraged to bring their little ones along to teach them dining etiquette and nurture an enjoyment of gourmet from a tender age, with the assistance of a children’s gastronomic menu and other small incentive programmes that promote family bonding over a delicious meal. What to order: Guests can choose between two different menus: Earth and Nature. 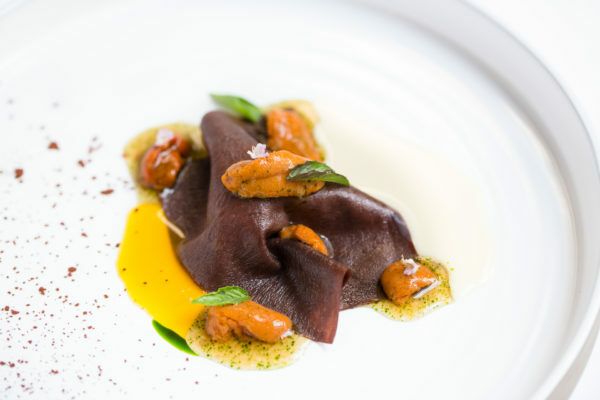 While Earth features a decadent selection of premium seafood and meats such as Matsusaka Wagyu, served with black garlic coffee, smoked eel, and ginger jus reduction, the Nature menu is just as intriguing with its vegetarian offerings. Both menus are available in either six- or ten-course versions for dinner, and four- or five-course sets during lunchtime. It’s a menu that is designed to fascinate with the different elements of European, Japanese and molecular cuisine, all of which have made up Stroobant’s culinary journey and culminates in a simple yet spectacular meal on your platter. What it is: Brazilian chef Ivan Brehm’s first F&B establishment in Singapore, Bacchanalia, has earned plenty of accolades. Now, Brehm has broken past the rigid formality associated with fine dining with The Kitchen at Bacchanalia that presents a warm and friendly space along HongKong Street. One of the most important things you need to know about the food, apart from how good it tastes, is that pretty much everything on your plate has been sustainably sourced from around the region such as Brehm’s farm in Cameron Highlands. With the varying seasonality and availability of ingredients, Brehm refreshes and updates his menu daily to ensure that guests can always look forward to something new and exciting each time they return. What to expect: Dining at The Kitchen at Bacchanalia is a carefully curated experience. From the signboard-less front and warm lighting to the minimalist, earthy furnishings, the space is deliberately designed to make guests feel like they are visiting a friend’s house instead of a restaurant. Brehm’s intention is to reinvent the dining experience by creating an immersive space that pulls guests in and makes them feel at home. As you step into the space, you will be greeted by the bustle in the 5.5m-long pass that continues a good way down into the restaurant. What to order: According to your appetite, choose among the three-, five-, or seven-course menus. 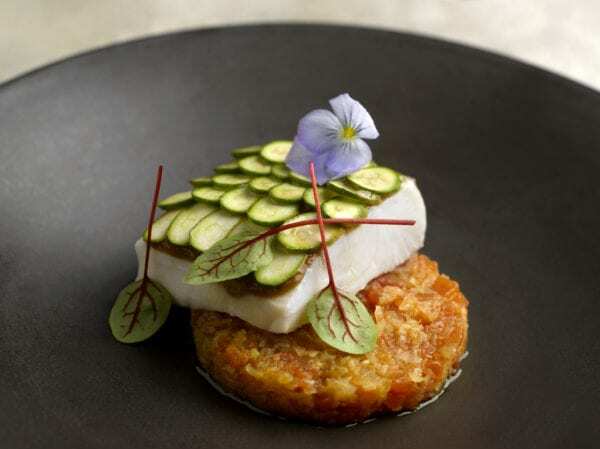 Some of the Kitchen’s debut signatures include the Hamachi “On Toast”, topped with osetra caviar; the beetroot tartare that combines different textures of beetroot with confit egg yolk; sea urchin with chocolate buckwheat pasta; and coconut risotto, which consists of aged carnaroli rice with fermented coconut. If you’re lucky, you might also be able to catch the Wagyu au Poivre Vert, which would usually be the M9 Blackmore Wagyu with spiced beef jus so long as the restaurant’s eco-friendly producer of grass-fed Wagyu has available stock. What it is: While some fine dining restaurants have taken to offering degustation menus, Cure has decided to debut an à la carte menu as a complement. This comes a year after the modern European restaurant, helmed by chef-owner Andrew Walsh, began taking in customers from the throngs that flood the vibrant Keong Saik Road. The menu includes a range of snacks, starters, mains, and desserts. Its aim is to expand the ways that people can come to dine at Cure. Basically, it allows you to have a say about every single dish you wish to order and consume, nothing more, nothing less. What to expect: With a name that takes its root in the Latin word that means hospitality, Cure has high expectations to fulfil, and manages to do so with its team of amiable waitstaff. Walsh himself comes out of the kitchen quite a bit to interact with his customers, to ask them for feedback on the dishes, as well as check if everything is going well. The ambient lighting for the 40-seater space gets pretty dim at night, so you don’t need to worry about spending a lot of time posting on social media before hunkering down to the grub. What to order: Try the homemade sourdough bread, served in a mini potato sack with bacon butter and whiskey-brined cabbage, which is essentially a deconstructed version of the classic bacon and cabbage soup. 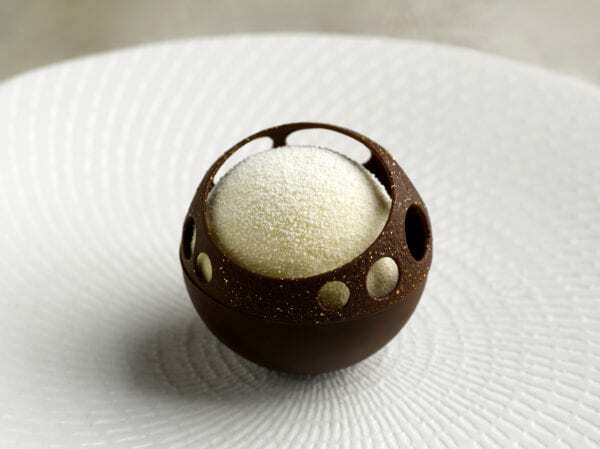 For something rich and sweet, the foie gras brûlée offers a layer of caramelised cinnamon sugar atop the light mousse. The crab salad is for Asian food lovers with its addition of green curry, coconut rice, lime gel, and discs of nashi pear. If you manage to catch it, the 72-hour beef short rib with smoked aubergine and dukkah is a great alternative to a sirloin steak. Finally, satisfy your sweet tooth with Milk & Honey with dehydrated milk skin sheets, condensed milk mousse, lavender granite and cream, and crunchy honeycomb; or the slightly savoury basil sorbet. The winners of the Men’s Folio Designer of the Year and Male Model Search 2018 competitions share the love. We don’t see a better way to celebrate the nation’s 53rd birthday than chowing down on our favourite local dishes. Here is a l ..
On the balmy Friday evening on 29th June, Men's Folio held a summer party at Andaz Singapore. This October, Men’s Folio celebrates its 20th anniversary with a white hot birthday bash, the results of the fourth annual Men ..
Men's Folio is finally just a month away from its milestone 20th anniversary issue. And before the real revelry begins, the ultima .. Prepare to be hashtag-happy as you discover MEN'S FOLIO'S #Socialmedia issue. Get up to date and acquainted with of-the-moment int ..